This book is actually my favorite. It is the story of a little boy, Edward, who desperately wants to learn how to read. 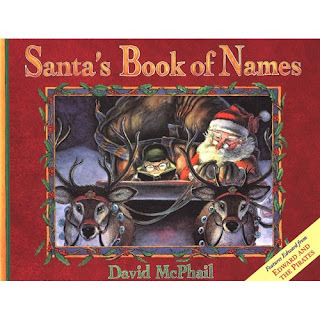 When Santa needs his help, Edward must read the names from Santa's book. With some gentle coaching from Santa, Edward saves Christmas (and learns to read!) Teachers and mothers beware, this story pulls at the heart strings! Seriously??? I have been working on my entry for holiday books and this was going to be my favorite pick. I choke up everytime! LOVE IT!!!! I love books so I will have to check this out. I love to hear about books that other's love. I love book reco's!! Thank you!